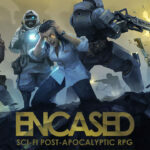 On September 13th indie studio Dark Crystal Games launches its Kickstarter for Encased, a post-apocalyptic RPG. The purpose of crowdfunding this project is to expand the game world and give the developers more room to introduce new and unique game mechanics. Dark Crystal has been hard at work on Encased for the past ten months. The game is currently in the pre-alpha stage, and the developers are already confident of the project’s completion. The goal of the crowdfunding campaign is to raise $100,000. 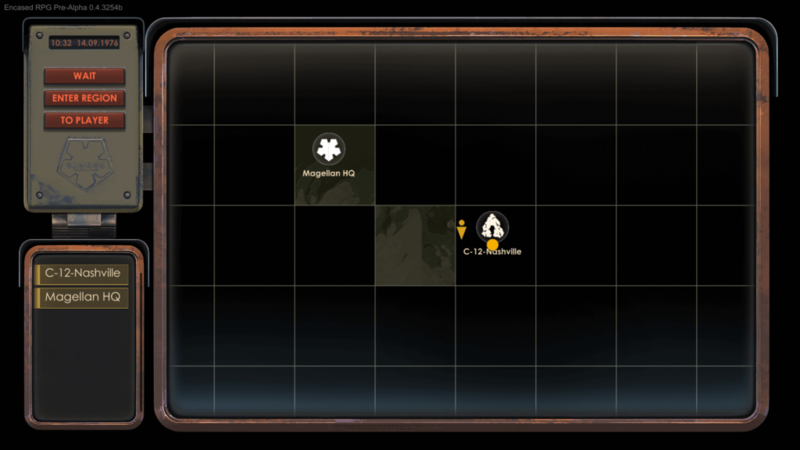 Any revenue collected will be used to refine the game and expand the team. Pledges from fans will expand the main campaign and increase the number of locations available to explore. A regular play-thru of the main story is estimated at 30 hours. The player will be able to explore more than 100 handcrafted locations and encounter up to 75 unique random events. Each of the six main factions has its own storyline and various endings. “While building out Encased’s storyline, we are relying on the rich experience of our writers and designers. 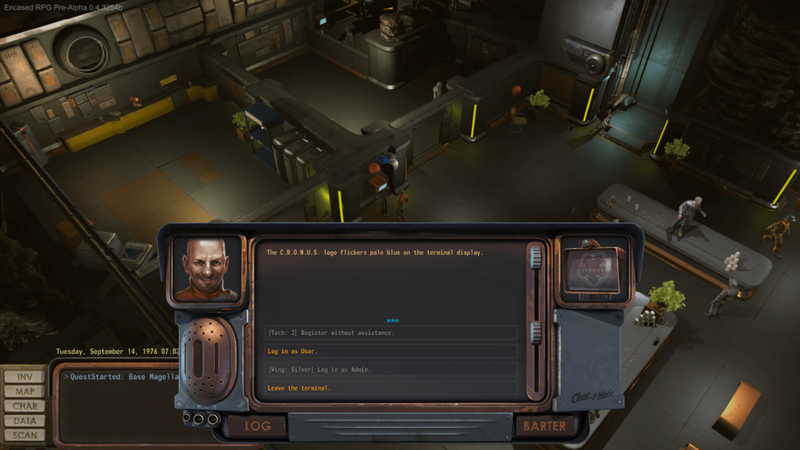 The game is inspired by the best in post-apocalyptic science fiction: “Roadside Picnic”, “Annihilation”, “The Forgotten Experiment” and many other works. Game events unfold under the Dome, a massive and indestructible structure of unknown origin. CRONUS is able to extract technological marvels and ancient relics from the Dome at will, but human beings find themselves trapped. Once inside, living creatures cannot exit. The Dome is only the visible portion of a sprawling complex buried beneath the sands. Within those thousand-year-old labyrinths are countless artifacts, weapons, traps and an ancient artificial intelligence which manages the systems of the facility. Exploration of these dark domains is carried out by employees of the CRONUS Foundation. As a result of its monopoly on the advanced technologies of the Dome, CRONUS becomes powerful enough to rival the sovereign nations of earth. The fate of the entire planet falls into the hands of the Foundation’s military officers, businessmen, scientists, and even criminals. At this point, another force rises from the darkness beneath the desert. During one of CRONUS’s frequent expeditions underground (one in which the player participates), the group awakens a sentient entity: the psychic Maelstrom. Loosed upon the world, Maelstrom’s rampage overturns everything CRONUS has built beneath the Dome. 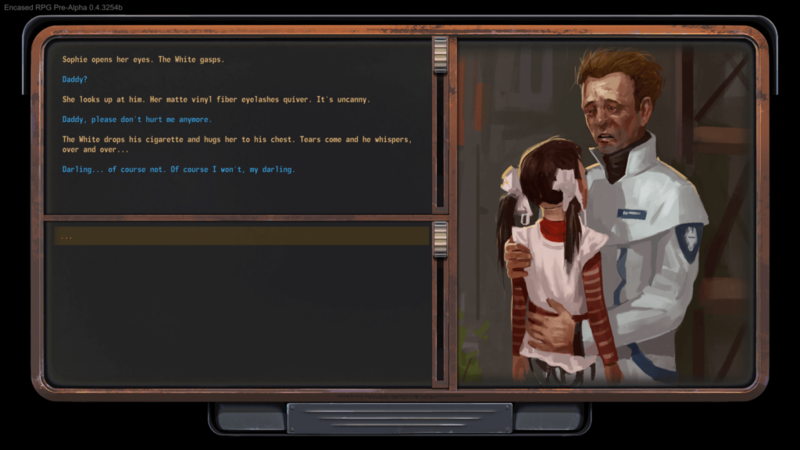 What happens in the aftermath, and more importantly how it happens, players will witness in 2019 when Encased comes to Early Access. Combat is comprised of dynamic, turn-based battles in which the player will enjoy a wide variety of tactical possibilities. You may choose to charge key fighters or support units, or wear them down before launching the attack. Sometimes non-combat skills, or even the environment around you, may be used to weaken the enemy beforehand. Encased’s combat system, feature short, dynamic, and complex battles, each one resembling a tactical puzzle with a multitude of solutions. 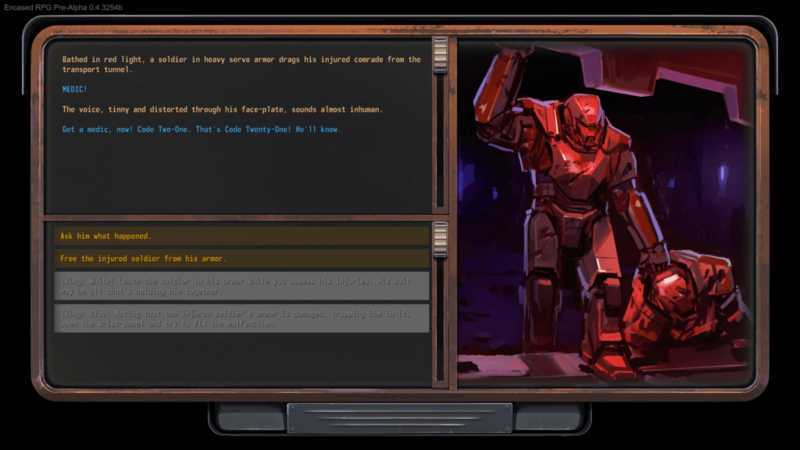 Experienced gamers will notice Encased’s resemblance to Fallout and other classic RPGs. These players will quickly intuit the ins and outs of the game without any need to read manuals or worry about building their character the “wrong” way. A system of skills and perks inspired by the time-tested formula, and the player will face a hard and interesting choice each time he levels up. The psychic whirlwind called Maelstrom is one of Encased’s most unique features. Maelstrom is sentient, regularly communicates with the main character, and will even occasionally grant a wish. But Maelstrom is more than just a consciousness, it is a force which overpowers and destroys the minds of other sentient beings. 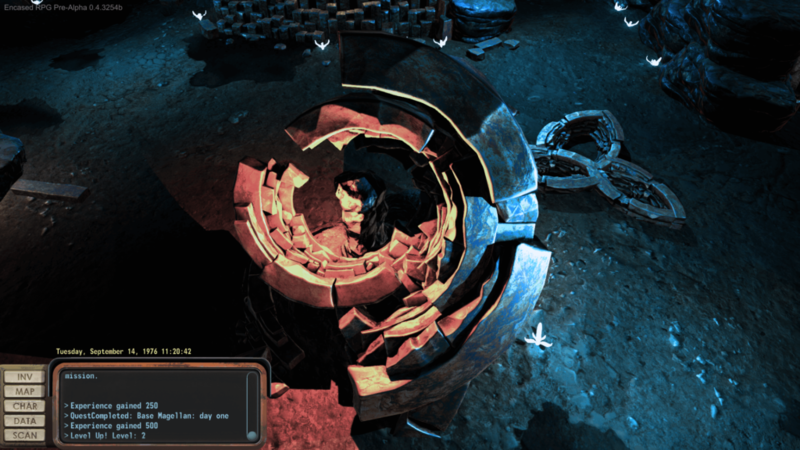 Maelstrom’s influence is especially powerful at the center of the Dome, so that at the beginning of the game the player must keep to the outskirts. One particular player stat is tied to interactions with Maelstrom, and also influences certain other skills and perks. If the player commits crimes, he will incur penalties to his reputation, and earn titles ranging from ‘Petty Thief’ to ‘Enemy of the State,’ or even ‘Threat to Humanity.’ Crime begets punishment. The player may be fined, imprisoned, and even executed. Luckily, there are several ways to deal with your arrest: bribe judges, organize a jailbreak, or return alive from the Labyrinth of Death (this last one may be particularly challenging). Encased for PC will enter Early Access on Steam in 2019. Below you will find the story trailer and the STEAM PAGE for wish listing it.